During this program friends will be able to meet up and show off their skills during the muppet shows happening every day in the afternoon. 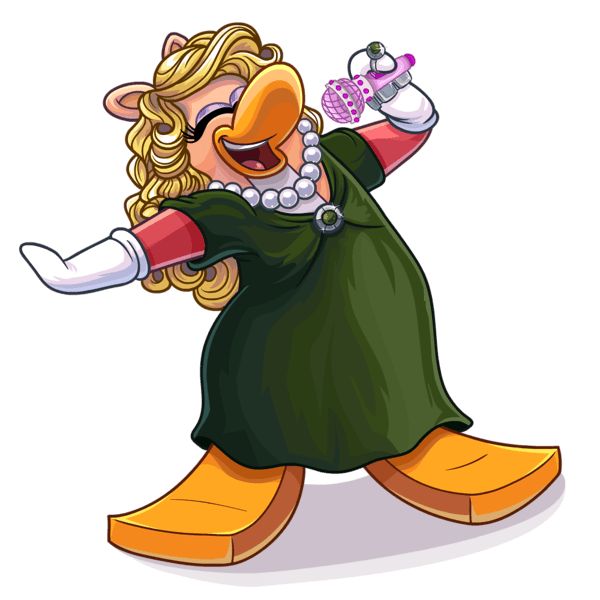 They will be able to sing, dance, and make speeches about how we can change Club Penguin to make it a better place. They will all be hosted by somebody from the muppets like Fozzie Bear, Kermit The frog, Miss Piggy, and The Great Gonzo. They will all be located on the dance floor or somewhere in the plaza. Constantine (the evil frog) will be there too, and don’t think he won’t poop on your performance, because he will be around stirring up mischief (of course). 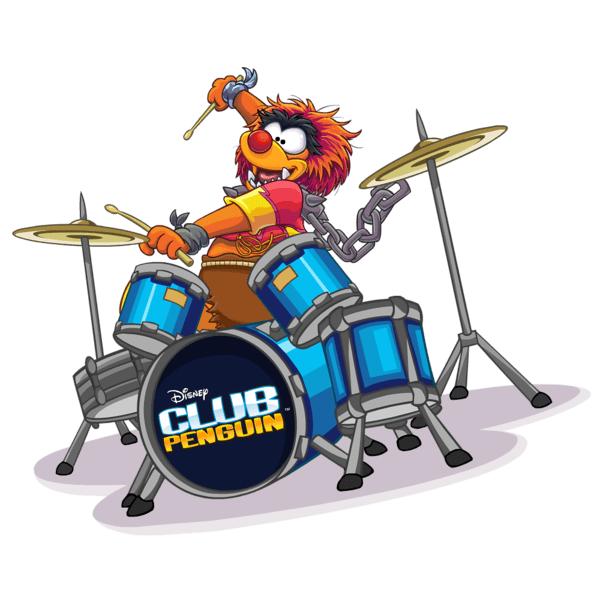 Members can be rewarded with special muppets clothing for doing great performances. 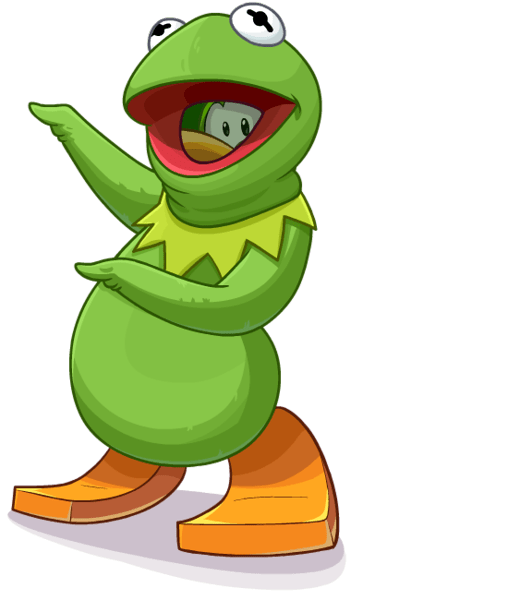 They will have all the muppets available for clothing at the stores and you purchase them after earning coins. You can go to the gift shop click on the book and all of the limited clothing will pop up. Members can leave the dressing room in style with exclusive character costumes including Kermit the Frog, Miss Piggy, Gonzo, and more. 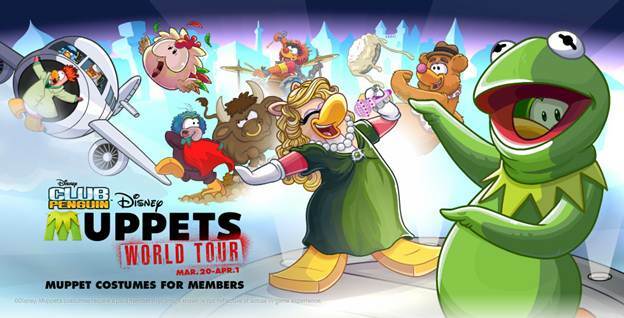 Members can fill their igloos with the Club Penguin Airliner, Air Pilot’s Seat, Check-in Terminal, Stage Curtain, and Grand Stage Arch to prepare for the Muppets World Tour. Members can collect exclusive items like a floral shirt, tourist camera and straw hat. With the one-of-a-kind Muppet Maker, members can create customized Muppet costumes for their penguins to wear on the island.